The 4th of July was Tuesday and I missed getting up a post. I hope those in the USA (or abroad…we always had a wonderful 4th celebration in Cairo) had a wonderful time celebrating our nations birthday with family and friends! I /we had a great day with our friends that are our FAMILY here in Massachusetts! 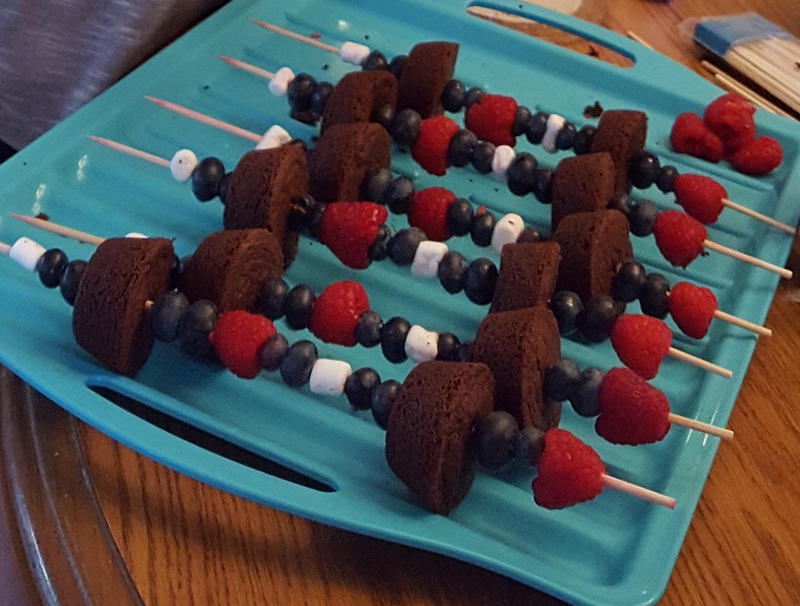 My favorite part of the meal was our red/white/blue dessert! 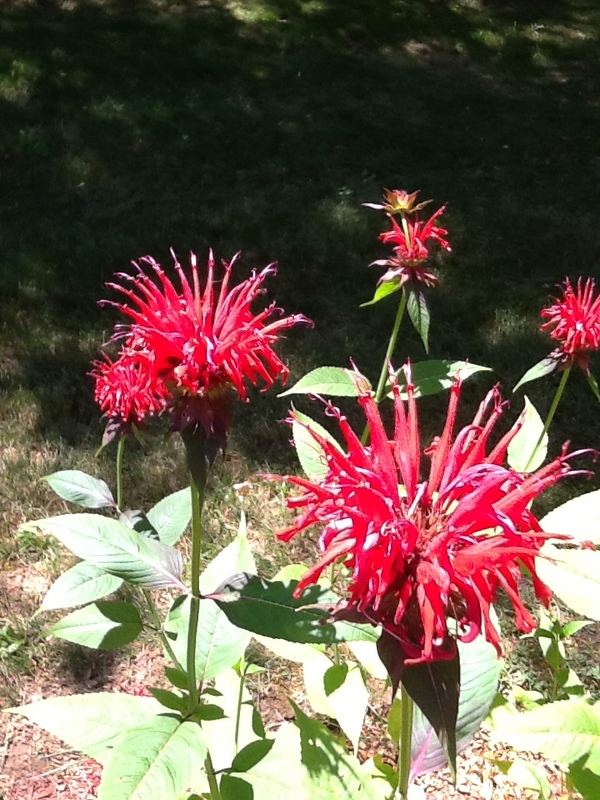 The Minarda in the yard is blooming for the RED (and attracts hummingbirds)! 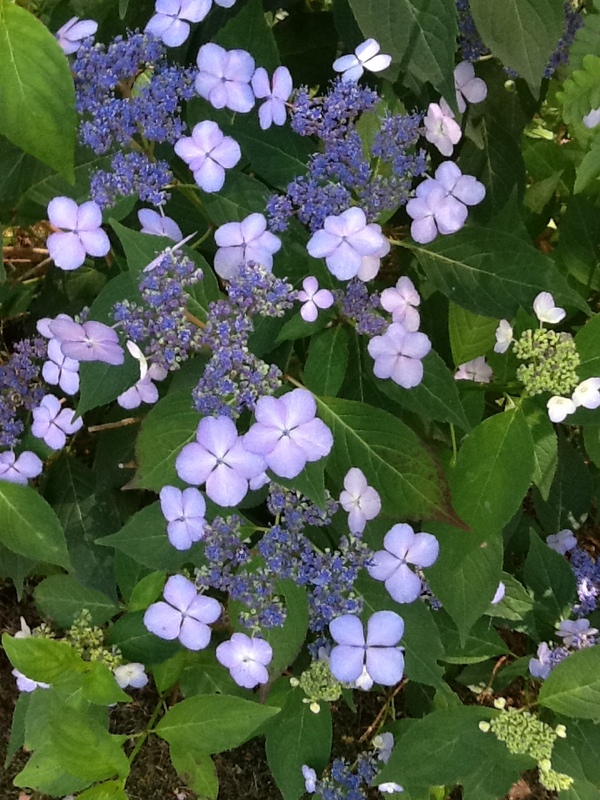 With the BLUE in my yard leaning toward the violet spectrum. Well, it looks blue from across the yard. 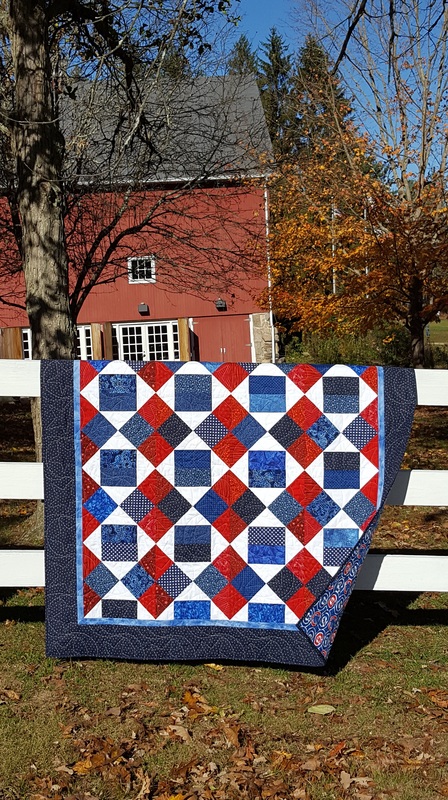 Have you made a RWB quilt? Did you keep it or give it to a soldier? I have given away several over the years. I encourage you to make a Quilt of Valor! Our service men and women and veterans are so VERY deserving. #1- When using a variety of blues, don’t be afraid of them not being “matchy- matchy”. From navy to royal blue to bright. It adds GREAT variety and interest. #2- Same goes for reds! From burgundy to red to orangey red. Mix them up! If one is screaming at you, then pull it out and save it for another project. This entry was posted in fabric, Patterns, Uncategorized. Bookmark the permalink.